Analysis: Will the Israel, Syria missile flare-up set a new precedent? Putin recently informed Netanyahu that we were no longer living in the 5th century BC. I'm not sure what the Israeli Prime Minister thought of that remark but I'm betting he didn't jump on the phone to announce the good news to Mossad. Purim is an international Jewish, and Israeli, holiday established during the reign of Persian king Xerxes I who governed from 486-465 BCE. According to the biblical book of Esther, a powerful administrator in Xerxes' administration persuaded the sovereign to sign a genocidal law aimed at annihilating Jews throughout the empire. Perhaps Khamenei is just someone who enjoys a good round of sardonic humor at Israel's expense. Just in case, though - those party loving ISIS folk might also need to be sent the memo Netanyahu got. But wasn't it a pity Vlad wasn't around to inform the Arab nations in 1948 and 1967 that this wasn't 500 BC? A vision of Netanyahu reaching over and slapping the back of Putin's head crossed my mind. I wouldn't trust Vlad as far as I'd like to throw a KGB agent - especially if I was a dissenting journalist. As they say in Moscow - once a KGB agent always a KGB agent. Scorpions can't help doing what they do and leopards don't change their spots. You know the drill. The Russian Czar's peacemaking overture to Netanyahu is obviously intended to protect Russian investments. Somehow, he has to manage a genocidal Iran on the one hand and Israel's determination not to be destroyed, on the other. Vlad isn't the only wannabe "peacemaker." There's a long list of Christian clergy dead set on insinuating themselves into the Palestinian-Israeli conflict. They often cite Matt 5:9 and refer to themselves as "peace makers." It is tragically ironic that this "peace making" inevitably involves blaming Israel for the Palestinian woes. The problem is so endemic that the CAMERA organization was formed to correct ubiquitous "fake news" spread by media and, sadly, Christian leaders. Anglican priest Stephen Sizer is another peacemaker who rails against Zionism. His church ordered him to desist from commenting on social media due to a series of misdemeanors. The final order followed his entertaining of a connection between Israel and 9-11. Sizer was cautioned again more recently and ordered to remove offending materials from his Facebook page. I'd hoped he'd repent during his exile. Unfortunately he's shown that the leopard adage is true in his case. All the while he has been champing at the bit, waiting for his retirement, so that he can indulge his passion. To that end he's announced the launching of his Peacemaker Mediators ("Charity"). The list of individuals associated with PM is revealing. Names like Naim Ateek, Manfred Kohl, Gary Burge and Steve Haas, among others, are on the list. Burge and Kohl have been active in the anti-Israel Christ at the Checkpoint Conferences. Peacemaker Mediator Steve Haas (Lausanne Movement) once connected Christian Zionism to the Spanish Inquisition, the Crusades, and Apartheid South Africa. He laments that evangelicals have wedded a narrow Christian theological narrative to Zionist political ideology. In fact Hass and company have wedded "social justice" and "liberation theology" with prejudice towards Israel and the Jews. For more on the Lausanne Movement and Haas, watch John Haller's 2015 video. You can pick it up at the 54-minute mark. Expect more to come once Sizer - Founder and CEO of Peacemaker Mediators - is unchained. These people delude themselves. Contrary to their peace-making overtures, they antagonize against Israel and the Jew. They're achieving the diametric opposite. No one can bring permanent peace to the region - not even President Donald Trump. The only true Peacemaker is Jesus Christ (Isaiah 9:6; Rev 7:17, 21:4). Christ will return as a conquering King and rule with a rod of iron. And while it has become fashionable to only speak of God's love - Jesus' return will be preceded by wrath on this world (Rev 6:16-17; 11:18; 19:15 etc). One reason for Christ's return is found in Hos 5:15 and Matt 23:39 and corroborated in Zech 12:2-3, 14:3. Israel will call out to their LORD and He will respond. A final note on a pet peeve: The prophetic books and Revelation speak of God's wrath, this world's destruction and a future kingdom. Yet revisionists tell us we should dig deeper to find the "real meaning" behind prophetic-apocalyptic Scripture. In fact, they're not digging for genuine meaning - they're covering over the plain sense of these texts. I'd advise rethinking that strategy (Rev 22:18-19). The Israeli military said its fighter jets had struck several targets in Syria early Friday, March 17, and were back in Israeli-controlled airspace, when Syria launched several anti-aircraft missiles toward the Israeli jets. Israel's Arrow air defense missile intercepted one of the missiles, the army said, but would not elaborate on whether any other hostile missiles had struck Israeli territory. The safety of Israeli civilians and the safety of the Israeli aircraft "were not compromised," the IDF spokesman stressed. debkafile's military sources: The official IDF communiqué raises questions. It does not make sense for Israeli Arrow missiles to be aimed at Syrian ground-to-air rockets fired against the Israeli warplanes. The Arrow would only be used to intercept an incoming Syrian or Hezbollah ground-to-ground missile heading for a target in Israel. This explanation gained credibility from the Syrian army account: "A total of four Israeli jets breached Syrian airspace on Friday morning. They hit a "military target" near Palmyra. In retaliation the jets were targeted by Syrian anti-aircraft missiles, which shot down on Israeli plane over "occupied ground." Following the breach of the country's airspace, the Syrian Army warned Israel of "direct" retaliation "with all means at its disposal,"
The Israeli Army stressed that none of the IAE planes was harmed. "At no point was the safety of Israeli civilians or the IAF [Israeli Air Force] aircraft compromised," an Israeli military spokesman said. debkafile's military sources add: The big T4 Syrian air base is located near Palmyra. If that was indeed the target of the Israeli raid, it would have been the northernmost point in Syria ever attacked by Israeli warplanes. The fact that fragments of the Arrow missile landed in the north Jordanian village of Anbata in the Irbid district, as revealed by social media, is added evidence that it was launched against a missile fired into Israel. Had the Arrow intercepted anti-air missiles in northern Syria, the fragments falling from the interception would not have reached Jordan or alerted rocket sirens close by in the Jordan Valley on the Israeli side of the border. Furthermore, it is time to abandon the routine official attribution of any Israeli air strike over Syria as targeting an advanced weapons convoy heading for Hezbollah in Lebanon. It is no longer credible. Following its intervention in the Syrian war, Hezbollah maintains many military facilities, stationary and mobile, on Syria soil, geared ready for attacking Israel. The pro-Iranian Shiite group no longer needs to send convoys into Lebanon. Its advanced weaponry is housed in permanent bases in the western Syrian towns of Zabadani and Quseir. In recent weeks, in fact, Hezbollah is busy digging deep underground storage pits to hold those advanced weapons systems outside those towns. According to some reports, they are also digging vast tunnels to funnel troops and hardware linking those pits to Lebanon. The fog of battle still hangs over Friday's episode. But it was serious enough to mark an escalation in Israel's military involvement in Syria. This in turn exacerbates the risk for Israel of impending clashes with the Syrian army and Hezbollah, under the direction of Iran. The incident showed the explosiveness that is threatening Israeli-Syrian relations, with the presence of Iran and Hezbollah, who are attempting to reach Israel's borders. In the most serious border incident since the start of the Syrian civil war six years ago, Arrow defense system intercepted a Syrian Missile fired at an IAF fighter jet, just after midnight on Thursday night. Sponsored by the Syrian military regime under President Bashar Assad, the forces are looking to open a new front in addition to the Lebanese border. Thursday night's incident was similar to about 15 events that had been reported by foreign media over the past six years. One can estimate that Israel's intelligence gathered accurate information which enabled the IAF to target what is considered "Strategic weapons," or in other words, accurate, long-range missiles. After completing the mission, while on their way back to Israel, Syria's anti-aircraft missile defense system was activated. However, the fired missile missed the IAF planes. Syria's response to the IAF's fire forced the IAF to use it's own Arrow battery, to shoot down at least one Syrian missile. It would be the first time that the Arrow defense system, which was built to intercept ground-to-ground and ballistic missiles, was successfully used to shoot down an anti-aircraft missile. Israel presumably did not intend to report the attack, wanting to continue with its ambiguous policy of neither confirming nor denying its actions in Syria. Such attacks are usually reported by foreign media and official statements from the Syrian army. This time, however, the IDF spokesperson confirmed the attacks in the early morning hours, a result of the fact that alert systems were activated in the Jordan Valley and Jerusalem area. Residents claimed to have heard and seen the launch. An IDF source told The Jerusalem Post that Israel has no plans to escalate or intensify tension with the Syrian army; however, Israel will continue to operate according it's red lines, working to stop transfer of weapons, mainly accurate long-range missiles being transferred from Iran, through Syria, to Hezbollah. Syria, Iran and Hezbollah also have no interest in an escalation, especially with Syria's civil war raging on with no end in sight. This issue was a focal point in talks last week with Prime Minister Benjamin Netanyahu and Russian President Vladimir Putin in Moscow. Netanyahu sought to intensify Putin's understanding of Israel's interests in Syria as well as its red lines. Netanyahu stressed that Israel will not allow any attempts by Iran or Hezbollah to send their forces to Israel's border with Syria in the Golan Heights. However, it seems that even though Putin may understand Israel's interests, Russia's influence on Assad and his army is not absolute. Abbas and the PA do not want a peace treaty with Israel, nor do they want a two-state solution. I thought that President Trump understood the truth about the fictitious narrative, pushed by the left, that Abbas just wants peace with Israel. Nothing could be further from the truth. But President Trump is now embracing Abbas and the PA. He has invited this hater of all things Israel to come to Washington. Trump wants to show the world that America is fair-minded when it comes to the never-ending conflict in the Middle East between the so-called Palestinians and Israel. Mahmoud Abbas wants one thing: he wants a one state solution and the total annihilation of Israel. When will leaders of the free world understand that this is the prevailing attitude by Abbas and the PA? Nothing has changed. Nothing will change. Do you remember when Yasser Arafat came to the White House and shook hands with Yitzak Rabin for a so-called land for peace deal? If you do not remember, let me refresh your memory. The agreement was made in accordance with the Oslo Accords, signed in Washington, D.C. on September 13, 1993. This was the first direct, face-to-face agreement between Israel and the Palestinians and it acknowledged Israel's right to exist. It was also designed as a framework for future relations between the two parties. The Gaza-Jericho agreement signed on this day in history addressed four main issues: security arrangements, civil affairs, legal matters and economic relations. It included an Israeli military withdrawal from about 60 percent of the Gaza Strip (Jewish settlements and their environs excluded) and the West Bank town of Jericho, land captured by Israel during the Six-Day War of 1967. The Palestinians agreed to combat terror and prevent violence in the famous "land for peace" bargain. The document also included an agreement to a transfer of authority from the Israeli Civil Administration to the newly created Palestinian Authority, its jurisdiction and legislative powers, a Palestinian police force and relations between Israel and the Palestinian Authority. As time went on, timetables stipulated in the deal were not met, Israel's re-deployments were slowed and new agreements were negotiated. Israeli critics of the deal claimed "Land for Peace" was in reality "Land for Nothing." Abbas is Arafat's successor to the PLO. Is his heart somehow unlike Yasser Arafat's towards Israel? If you believe that then you are duped by empty words coming from the Left. Abbas is just another Yasser Arafat and his hatred for Israel consumes him. It is written that insanity is doing the same thing over and over, yet expecting a different outcome. It is insane for the Trump administration to think that they can embrace Abbas and lure Bibi Netanyahu to a table to sign a peace treaty. PM Netanyahu remembers history. He also knows the Palestinian mindset and their desire to wipe Israel off the map. Even if Abbas uses "taqiyya" (permissible lying to further the agenda of Islam) and says that he acknowledges Israel's right to exist - Bibi will see this for what it is- empty words. Netanyahu is fiercely protective of his people. This is why I believe that Israel being pressured by the Trump administration could lead to the Ezekiel 38-39 war. The Israel hating world will be watching to see if these so-called peace talks take place. The Arab world will rejoice if PM Netanyahu refuses to shake the hand of Abbas and put his people in harms way. It's not going to happen - not with Netanyahu. US President Donald Trump is losing his focus. If he doesn't get it back soon, he will fail to make America great again or safe again in the Middle East. After holding out for a month, last week Trump indicated he is adopting his predecessors' obsession with empowering the PLO . There are many actors and conflicts in the Middle East that challenge and threaten US national interests and US national security. Iran's rise as a nuclear power and regional hegemon; the war in Syria; Turkey's abandonment of the West; and Russia's regional power play all pose major threats to US power, security and interests. The Muslim Brotherhood, Islamic State, Hamas and other Sunni jihadist movements all threaten the US, Europe and the US's Sunni allies in the region in a manner that is strategically significant to America. To the contrary, all of these pressing concerns will be sidelined - and so made more pressing and dangerous - by a US reengagement with the PLO . According to media reports, Trump told Abbas - whose legal term in office ended eight years ago - that he views him as a legitimate leader. According to the official White House report of the conversation, Trump also reportedly told Abbas that he supports reaching a deal between Israel and the Palestinians. Such a deal, to the extent it is ever reached, involves expanding PLO control over Judea and Samaria and parts of Jerusalem at Israel's expense. Trump also invited Abbas for an official visit to Washington. And the day after they spoke, the Trump administration moved $250 million in US taxpayer dollars to Abbas's police state where for the past 25 years, Abbas and his cronies have enriched themselves while feeding a steady diet of antisemitic, anti-American jihadist bile to their impoverished subjects. And swift on the heels of that conversation with Abbas, Trump's chief negotiator Jason Greenblatt was dispatched to Jerusalem to begin empowering the PLO at Israel's expense. According to media reports, Greenblatt intended to use his meeting Monday with Netanyahu to reject Netanyahu's commitment to build a new Israeli town in Samaria. Greenblatt was also reportedly intending to dictate the parameters for yet another round of negotiations with the PLO. And Greenblatt doesn't have the Palestinians to himself. Following Trump's conversation with Abbas, plans were suddenly afloat for Trump's son-in-law and senior adviser Jared Kushner and Trump's daughter Ivanka Trump to visit Israel and spend an afternoon with Abbas in Ramallah. The PLO is the Siren that drowns US administrations. It is to the PLO that America's top envoys have eagerly flown, gotten hooked on the attention of the demented, anti-Israel press corps, and forgotten their purpose: to advance US national interests. Why did they do that? Because they are interested in two things: personal enrichment - which they achieve by stealing donor funds and emptying the pockets of their own people; and weakening, with the goal of destroying Israel - which they achieve through their hybrid war of terrorism and political warfare. The second thing that needs to be clear is that the Palestinians are irrelevant to the rest of the problems - the real problems that impact US interests - in the region. If anything, the Palestinians are pawns on the larger chessboard. America's enemies use them to distract the Americans from the larger realities so that the US will not pay attention to the real game. Iran will not be appeased or defeated if Trump empowers the PLO in its war against Israel and continues feeding PLO leaders' insatiable appetite for other people's money. Russian President Vladimir Putin will not move his forces out of Syria or stop giving nuclear technologies to Iran if the US turns the screws on Israel. Putin will come to the conclusion that Trump is either weak or stupid to damage Israel, the US's most serious ally. Trump's election opened up the possibility, for the first time in decades, that the US would end its destructive obsession with the PLO. For three months, Israelis have been free for the first time to discuss seriously the possibilities of applying Israeli law to all or parts of Judea and Samaria. And a massive majority of Israelis support doing just that. On the Palestinian side as well, Trump's election empowered the people who have been living under the jackboot of Abbas and his cronies to think about the possibility of living at peace with Israel in a post-PLO era. Polling results indicate that they too are eager to move beyond the Palestinian statehood chimera. Pray for the peace of Jerusalem. Scripture tells us that we should bless Israel. But we know that Bible Prophecy speaks of a time after God's Church is raptured, and His focus and attention will be on His people Israel. The redemption of God's Chosen is known as the Time of Jacobs Trouble. As a believing Jew, it does break my heart to know that the Antichrist will slaughter 2/3 of the people of Israel - another Holocaust. But the other 1/3 - their eyes will be opened. They will know that the One whom they pierced is truly the Messiah of Israel. In fact, Ingrid Carlqvist, a Swede, is alarmed to see these population impacts manifesting in Sweden. She warns that Islam is not compatible with democracy because it is not simply a religion. It is "a political ideology, a justice system (Sharia), and a specific culture that has rules for virtually everything in a person's life: how to dress; who your friends should be; which foot should go first when you enter the bathroom.... Islam aspires to control every aspect of the human life -- the very definition of a totalitarian ideology." In fact, the latest ludicrous jackboot tyranny -- the transgender bathroom issue -- is being perpetrated on 99.7% of the American public by a paltry .3%. That's not 3%, that's .3%. Three-tenths of a percent who identify as "transgender." Yet hypocritical multinational corporations, organizations, governments, and public figures are risking their entire reputations and fortunes in an effort to force their skewed values on every person in the United States. It matters not what the average American believes or thinks! We are fast approaching the 50th anniversary of the Six Day War. 50 years ago this coming June, in 1967, a brief war erupted between Israel, Egypt, Jordan, and Syria. The world has never been the same. This article has been revised from the commentary of the book entitled, "Apocalypse Road, Revelation for the Final Generation." One of the central purposes of the book is to explore and explain the mysterious gap period that exists between the Rapture of the Christian Church and the seven-year Tribulation-Period (Trib-period). Many Bible prophecy experts today are recognizing that it's not the Rapture that starts the Trib-period. Rather, it begins with the confirmation of the covenant of Daniel 9:27 by the Antichrist, between Israel and some other party. Therefore, a gap can exist between the fulfillment of these two distinctly separate events. (The other covenanting party is identified typologically in Isaiah 28:15, 18 as "Death and Sheol." Who or what "Death and Sheol" represents, and what role they play in the end times, is also explored within the Apocalypse Road book). However, upon a closer examination it may not be as simple as saying, "Out with the good (grace) and in with the bad (wrath)." The gap period seems to include events that legitimately take time to manifest into action. Before exploring those events, it's important to recognize that if the gap period extends beyond a day, a week, or even a month, then it is safe to suggest that this time-period will contain some globally impacting events! 1. The revealing of the Antichrist, (2 Thessalonians 2:8, Revelation 6:1-2). 2. Ezekiel 38 and 39, the Gog of Magog War. (If this war hasn't happened prior to the Rapture, then it will likely happen in the gap period). 3. The ministries of the 144,000 Jewish witnesses, (Rev. 7:1-8). 4. The rise of the Harlot world religion, (Rev. 17). 5. The martyrdom of the Fifth Seal Saints, (Rev. 6:9-11). 6. The perpetration of the "overflowing scourge," which causes Israel to become a signatory to the false covenant. (Isaiah 28:15, 18). MAJOR PREMISE: The seven year Trib-period doesn't start until the Antichrist confirms the covenant of Daniel 9:27 between Israel and some other party. Until the Trib-period starts, the Post-Rapture / Pre-Trib gap period can't conclude. Minor Premise #3: The overflowing scourge spoken of in Isaiah 28:15 must already be taking place within the world. According to Isaiah, Israel becomes a party to the covenant in order to avoid this overflowing scourge. The scourge can't be a figment of Israel's future fearful imagination, but it must have already become a legitimate active threat to the national interests of the Jewish state. The examples of Egypt and Jordan are cases in point. These two Arab nations had been in three major wars against Israel in 1948, 1967 and 1973. Both countries, along with Israel, all decided that it was in their collective national interests to make a peace-pact together. Likewise, Israel and "Death and Sheol's" representation on earth at the time of the covenant's confirmation will mutually agree to make a seven-year agreement together. There is a strong possibility that the FINAL GENERATION is alive today. If so, some members within this specific generation will undoubtedly experience both the Post-Rapture / Pre-Trib gap period and the ensuing seven-year Tribulation Period. If this is the case, then everyone that is alive today, and up until the time of the Rapture, is written about in some unfulfilled end time's Bible prophecy. This means that you, the reader can know your future! If you are a believer and the Rapture has yet to occur, then you will be Raptured, providing that you don't die beforehand. If you, or someone you love, are an unbeliever at the time of the Rapture, then you or that loved one fall into one of the Post-Rapture people groups listed below. a. 5th Seal Saints, (Revelation 6:9-11) These are people who appear to become believers in the Post Rapture-Pre-trib gap period. The 5th Seal Saints will be martyred for the word of God and their Christian testimonies. They are portrayed in prophecy as slain souls. b. Fellow Servants of the 5th Seal Saints, (Revelation 6:11) These are people who appear to become believers during the first half of the Tribulation Period (Trib-period). They will also be martyred for the same spiritual reasons as the 5th Seal Saints. c. The Brethren of the Fellow Servants of the Fifth Seal Saints, (Revelation 6:11, 7:9-17, 15:2 and 20:4) These are people who appear to become believers during the second half of the Trib-period, i.e. the "Great Tribulation." They will be martyred for refusing to worship the image of the Antichrist in Revelation 13:15.
d. Sheep Gentiles, (Matthew 25:31-40) These are Christians that survive through the Gap and the Tribulation Periods. They will likely include the faithful remnants from Egypt, (Isaiah 19:23-25) Assyria, (Isaiah 19:23-25) Jordan, (Jeremiah 48:47, 49:6) Iran, (Jeremiah 49:39) and elsewhere. a. Orthodox Jews, (Isaiah 28:15, 18) These Jews will rebuild the third Jewish temple and reinstate the sacrificial system of the Mosaic Law. They will be among the two-thirds of the Jewish peoples that are killed by the Antichrist in Zechariah 13:8.
b. Secular Jews, this is a presumptive category for Jews that may not be classified as either the faithful remnant of saved Jews, or unsaved Orthodox Jews. Since they remain as unbelievers in Christ, their prophetic future is the same as the unbelieving Orthodox Jews. b. Antichrist worshippers, (Revelation 13:16-17, 16:2) These are those who receive the "mark of the Beast." c. Goat Gentiles, (Matthew 25:41-46) Unbelievers that survive the Trib-period. (Some of these may have or not have believed in either the Harlot or Antichrist systems). When a Church age believer truly comprehends the tragic plights of the Post Rapture populations, they should be burdened with a sincere concern for their well-being. If this is the FINAL GENERATION, then these peoples are among us today. It could be a spouse, child, grandchild, friend, neighbor, co-worker, business associate, or someone else within the sphere of your influence. If they don't accept Christ as their Savior prior to the Rapture, they run the high risk of being killed for their faith, or being eternally damned for their lack of it. In December 2015, Presidential candidate Donald Trump called "for a total and complete shutdown of Muslims entering the United States until our country's representatives can figure out what is going on." Trump cited a Pew Research poll in his news release that indicated 25% of the US Muslim population agreed that violence against Americans is justified. Almost immediately, Trump drew criticism from Hillary Clinton, Jeb Bush and Marco Rubio, calling his remarks offensive, reprehensible, outlandish and divisive. These are the very remarks that are giving courts the upper hand in ruling that Trump's immigration orders establish religious discrimination. In reality, Trump is in alignment with US immigration law. Chapter 2 Section 212 of The Immigration and Nationality Act of 1952 (Public Law 414), prohibits entry to the US if an Alien is a member of or affiliated with any organization that advocates or teaches, the overthrow by force, violence, or other unconstitutional means of the US or of all forms of law, and Aliens who publish, circulate and distribute materials teaching or advocating the overthrow by force, violence or other unconstitutional means of the US Government or of all forms of law. Islamic immigration to the US would be prohibited under this law because the Koran, Sharia Law and the Hadith all require complete submission to Islam and Sharia law, which is antithetical to the US government, the Constitution, and to the Republic. Whether Islam is a religion is immaterial because the law states that Aliens who are affiliated with any "organization" that advocates the overthrow of our government are prohibited. It also prohibits those who distribute literature that advocates the overthrow of our country, which would include the Koran. The Koran is not only Islam's "holy" book, it is also Islam's constitution. It commands Islamists to conduct violence against or to kill those who do not submit to allah and the prophet--at least 109 times, in context. But Trump's mistake was publicly using the term "Muslim" when he called for the visa shutdown. The courts are now using this against him, saying his intent constitutes religious discrimination. During the campaign, Trump pointed out that Islam's hatred for America is "beyond comprehension." He stated, "Until we are able to determine and understand this problem and the dangerous threat it poses, our country cannot be the victims of horrendous attacks by people that believe only in Jihad, and have no sense of reason or respect for human life." 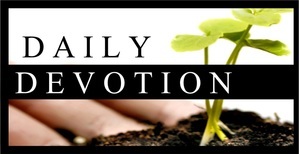 Galatians 6:7 says, "Be not deceived; God is not mocked: for whatever a man sows, that shall he also reap." The ex "president's" crop is growing. When it reaches harvest, America will rue the day it succumbed to these false narratives and political correctness. Irrespective of what you think about Trump, he is absolutely in alignment with US law and the right to self-defense on this issue. In a time of fake news, distracting news, divisive news, disorderly news, and, sometimes, depressing news, we-as Christians and as leaders-want to recommit ourselves to making sure that the Good News of Jesus cuts through it all. We call upon Christians in America to make 2017 "The Year of Good News." Despite the divisions and distractions dividing our nation and disorienting our culture, we believe that the gospel of Jesus Christ remains the hope of the world and is more needed in our nation now than at almost any point in our nation's history. This is not to diminish the important good works and example that the church as a whole provides, but it is to emphasize that Jesus has commanded us to "go into all the world and preach the gospel" and to "make disciples of all nations." Our message is the Good News that God loved us so much He sent His Son to this earth on a rescue mission. Jesus, who is fully God and fully man, lived a perfect life, died a perfect death, and rose again from the grave. We need a national miracle to heal our political, racial, and cultural divisions, and that miracle is found in the power of Jesus to change our hearts. Therefore, we commit to preach louder than our nation's politics, and we aim to make the message of Jesus Christ transcend the monopoly of our media. We confess our only hope of unity is on the level ground at the foot of the cross of Jesus, and our only hope of healing is in the victory achieved through His empty tomb. The gospel is the timeless, God-honored, God-ordained message that can change a human heart for time and eternity. We accept Jesus' command to proclaim His message, wherever we are, to whomever we are around. Because 2017 is such a critical year for America, it must become the Year of Good News. Click here to sign the declaration.